Volkel Air Base is located in the Netherlands in the town of Uden. 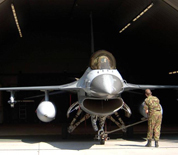 It is home to two F-16 Fighting Falcon squadrons of the Royal Netherlands Air Force. The USAF presence is found in the 703rd Munitions Support Squadron of the 52nd Fighter Wing. The 703rd is responsible for providing US munitions to support the objectives of the Royal Netherlands Air Force and NATO. The city of Uden is approximately 85 miles south of Amsterdam and is a rich agricultural region. This Volkel AB directory features the critical info you’ll need to navigate through the many facilities and recreational opportunities available on base.